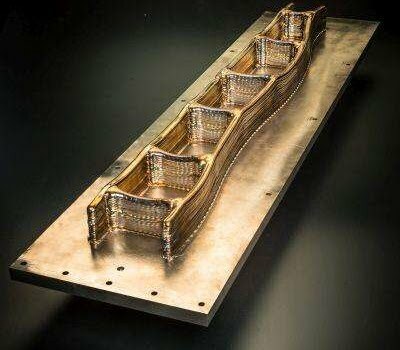 Figure 1 – Additive manufactured component made of Ti-6Al-4V alloy. Why is Residual Stress in Additive Manufacturing Important? Additive manufacturing (or 3D printing) is a growing sector where managing residual stress and defects are major challenges. For that reason, quantifying residual stresses in additive manufacturing and demonstrating structural integrity is crucial before 3D printed structures can be accepted and widely used in industry. StressMap has been working with Cranfield University to investigate residual stresses associated with Wire Arc Additive Manufacturing (WAAM). The grain size in these materials is particularly large due to the nature of the process, which present challenges for non-destructive techniques such as X-Ray and neutron diffraction. The contour method is ideal for measuring these components, since it is insensitive to microstructural variations (grain size, texture, anisotropy). Ti-6Al-4V is an alloy used extensively in aerospace, and welding is an indispensable tool used for joining this material. The thermal cycle associated with welding results in coarsening of the grains in the heat-affected zone, and in the production of large prior grains in the fusion zone, which ultimately lead to higher strength, but much reduced elongation. In this project, microstructural refinement and homogenisation was attempted by combing high-pressure cold rolling and laser processing in 5 mm thick Ti-6Al-4V plates joined by plasma arc welding. Figure 2 – Macrographs of as-deposited (top-left), cold-rolled (top-right) and cold-rolled with laser processing (bottom). Post-weld cold rolling alone increased the strength up to 1127 MPa when rolling at 125 kN, but reduced the elongation to only 4%. Rolling introduced compressive stresses in the weld metal and displaced the tensile stresses to the heat affected zone and parent metal. Subsequent laser processing provided the required thermal energy, which combined with the strain energy stored in the material, resulted in a fully recrystallised microstructure with strength up to 987 MPa, restored ductility up to 11% and resulted in significant residual stress relaxation. 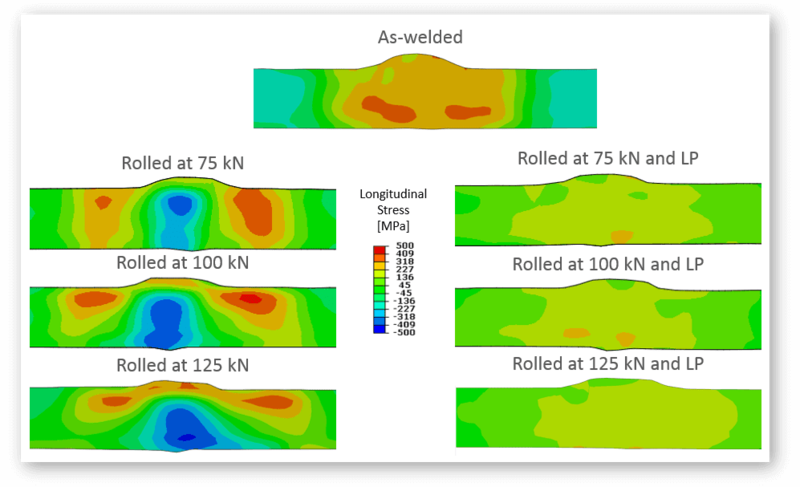 Figure 3 – Maps of lonrigudinal residual stress distributions in as-welded condition (top), cold-rolled with 75, 100 and 125 kN (left) and cold-rolled to the same levels and laser processed (right). Prabakar A, Martina F, Suder W, Ganguly S, Williams S. (2015) “High-pressure cold rolling and laser processing of plasma-welded Ti-6Al-4V plates”, in 1st Metallic Materials and processes: industrial challenges. Deauville, France. Paddea S, Prabakar A, Traoré Y, Martina F, Ganguly S, Williams S. (2016) “Residual Stresses in High-pressure Cold Rolled and Laser Processed Plasma-Welded Plates”, in 10th International Conference on Residual Stress ICRS-10. Sydney, Australia.